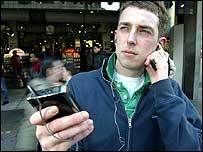 The study found that regular downloaders of unlicensed music spent an average of £5.52 a month on legal digital music. This compares to just £1.27 spent by other music fans. Q&A - Will I be sued for music swapping?